8. The Power Preacher – This person likes to be in charge, they naturally lead groups they find themselves in, and they always look for ways to influence others. Preaching can be a bit of a no-brainer role for them in some settings. Now there are massive connections between preaching and leading. But there are also massive connections between our content and a non-worldly servant leadership model of the inverted pyramid. This preacher will be able to communicate vision and may have people naturally respond to them. But it is important to have people respond to the Bible, rather than just to the preacher. Perhaps every personality type would do well to check their motives for preaching, but perhaps this type should do so quicker and more thoroughly than some others. 9. The Performer Preacher – Typically people-oriented, very extrovert and fun-loving. Naturally enthusiastic and potentially highly engaging. They like to be the center of attention in social situations. This person will bring energy into the preaching moment. They will bring enthusiasm and joy. They will bring more emotion than some personality types could dream of expressing. Some visitors will feel enthused, some regulars will excuse and enjoy. However, this personality type needs to know that their personality will aggravate some others. The energy will grate. The emotion will be considered a false front. The hype will be seen as a poor attempt to hide a lack of content. This personality type can be perfect for some situations. In every situation there needs to be care for content to come in the package of energetic delivery, otherwise the naysayers will be proven right. 10. The Inspirer Preacher – Another natural communicator, with a natural ability to engagingly explain and apply biblical truth with intensity. This person will be seen as a good preacher by others, whether or not the content is as profound as they give the impression that it is. However, sometimes the intensity may seem to come with the public speaking, rather than from the power of the content. This personality type needs to channel the same energy into their study as they naturally produce in their delivery. They probably need to understand that some personality types will struggle to maintain the level of inspired intensity while listening to them! 11. The Visionary Preacher – Intellectually quick, they see a preferred future in most situations, and are able to communicate that sensitively and powerfully. They may have energy for creative planning, but lack energy for maintaining the important routines in personal life and church life. People in churches without clear vision and direction can feel starved of leadership. This type of preacher can be a real blessing to such a church. However, not every visionary statement can be followed through on by all listening. This personality needs to be sure to affirm and to support and to encourage the present activities and routines, where appropriate, rather than only seeing the better future and continually presenting that. People appreciate direction and vision, but they don’t do well being constantly critiqued and evaluated negatively. I have deliberately avoided 16 types, for obvious reasons. There could be many more than the 11 I’ve listed. What would you add? 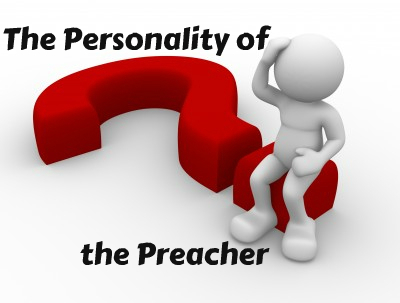 Perhaps more importantly, what are some of the features of your personality and how do they influence your preaching?